More time for magic plus special benefits…great reasons to buy your multi-day tickets right now. Save time and avoid lines at the Disneyland® Resort ticket booths! Go straight to the main entrance to start the fun! Receive one Magic Morning* early admission with a purchase of a 3-day or longer Disneyland® Resort ticket. For a limited time, you can visit the Disneyland Resort theme parks for as little as $70 per day when you purchase a 3-Day, 1-Park per day ticket for $210. Plus, one Magic Morning early admission* is included with each ticket. You can also add Disney MaxPass** for an additional $10 per day. These tickets are valid for use beginning January 7, 2019 and expire 13 days after the first day of use or on May 23, 2019, whichever occurs first. The following blockout dates apply: April 14 through April 22, 2019. Purchase now through May 18, 2019. Each day of use constitutes one full day of use. May purchase up to 8 tickets per person per day. Tickets are nonrefundable, may not be sold or transferred for commercial use and exclude activities/events separately priced. Subject to capacity, restrictions and change without notice. *Magic Morning allows one early admission (during the duration of Theme Park ticket or Southern California CityPASS®) to select attractions, stores, entertainment and dining locations at Disneyland® Park one hour before the Park opens to the public on Tuesday, Thursday or Saturday. Each member of your travel party must have a valid 3-day or longer Disneyland® Resort ticket Theme Park admission. To enhance the Magic Morning experience, it is strongly recommended that Guests arrive at least one hour and 15 minutes prior to regular Park opening. Magic Morning admission is based on availability and does not operate daily. Applicable days and times of operation and all other elements including, but not limited to, operation of attractions, entertainment, stores and restaurants and appearances of Characters may vary and are subject to change without notice. Subject to capacity and other restrictions. **Disney MaxPass is nonrefundable, nontransferable and may not be redeemed for cash. Guests are strongly advised to check the day’s FASTPASS availability and other park details before purchasing Disney MaxPass or using a park ticket with Disney MaxPass. FASTPASS selections for popular attractions or entertainment may not be available at the time of Disney MaxPass purchase or use as FASTPASS selections are limited and availability is not guaranteed. FASTPASS selections may be made only while you are in the parks, and may change without notice. Disney PhotoPass service is subject to the Disney PhotoPass terms and expiration policy found at /photopass-terms-conditions/. Online registration required. Disney PhotoPass photos captured during the day your Disney MaxPass feature is used must be linked to your Disney account. Not responsible for missing, lost or damaged photos. Downloads are restricted to personal use by Disney account holder only and may not be used for a commercial purpose. The Disney MaxPass feature will expire at the end of the day of use. Subject to other restrictions and change or cancellation without notice. There’s magic to be found throughout The Happiest Place on Earth! 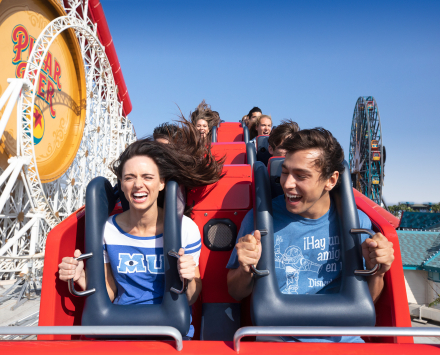 With its two amazing Theme Parks — Disneyland® Park and Disney California Adventure® Park — plus three Resort Hotels and the Downtown Disney® District, the world-famous Disneyland® Resort is where Guests of all ages can discover wonder, joy and excitement. 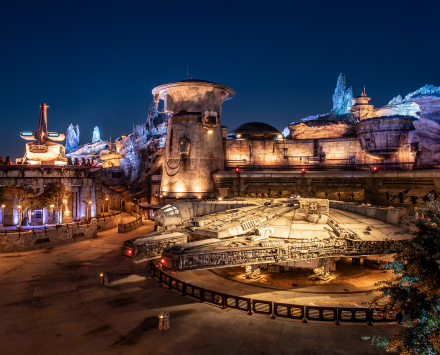 Disneyland® Park is home to new and classic attractions and entertainment—like Star Wars™ Launch Bay, Pirates of the Caribbean and Splash Mountain. 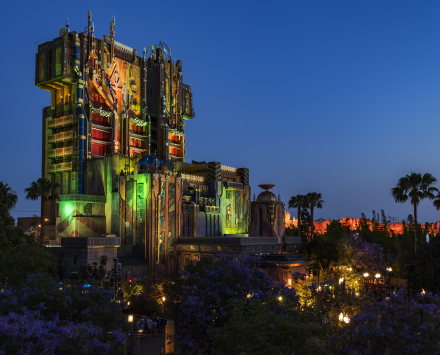 And Disney California Adventure® Park is where you can come to the rescue on Guardians of the Galaxy – Mission: BREAKOUT! Or walk along the newly reimagined Pixar Pier where the characters and stories of Pixar come to life with fun-filled attractions, themed dining, shopping and entertainment. 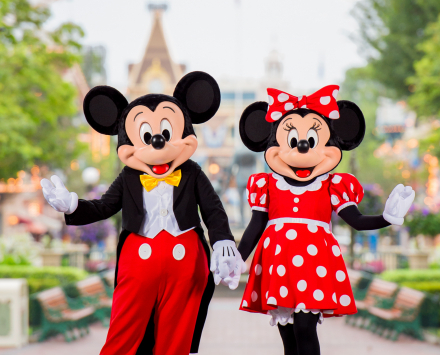 Head to the Happiest Place on Earth for a tribute to Disney’s most iconic couple! 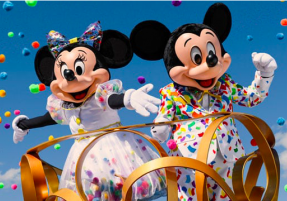 Adored for generations, Mickey and Minnie Mouse have brought joy and inspiration to millions of fans around the world. 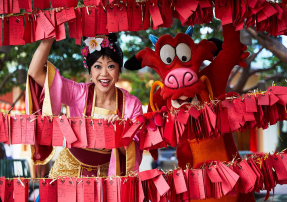 Join us as we toast their 90-year legacy with a magical, musical celebration featuring entertainment, Character Greetings, themed menu selections, merchandise and more. Come savor an array of California cuisine and beverages during this fresh, springtime event. The annual festival is chock-full of culinary fun—from special tastings to Festival Marketplaces to inspirational cooking demonstrations. Whether you’re a foodie, aspiring home chef, wine enthusiast—or just looking to pick up a few cutting-edge techniques, the festival delivers a little something for everyone.